A moment of celebration after our discussion of difficult issues. I am full of birdsongs. Who knows . . . what flowers fell. Translation by Gary Snyder in Eliot Weinberger, ed. (2003), The New Directions Anthology of Classical Chinese Poetry, page 63. 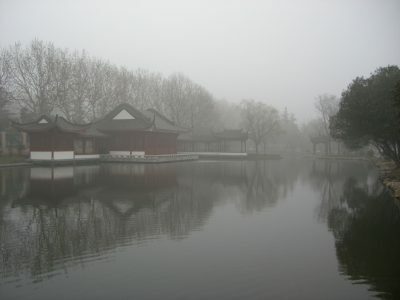 Photo credit: Noclue119 on Wikimedia Commons (photo of a city park near Meng Hao-Jan’s home.